It’s no mystery – I strongly recommend travel with kids! The lessons learned and the education received while globe-trotting is unlike anything in a classroom. It’s also no mystery that with all great family adventures comes the (sometimes) unnerving travel to and from the destination. One of the biggest sources of family travel stress revolves around entertaining young ones while on the road or in the air. Does that sound familiar? 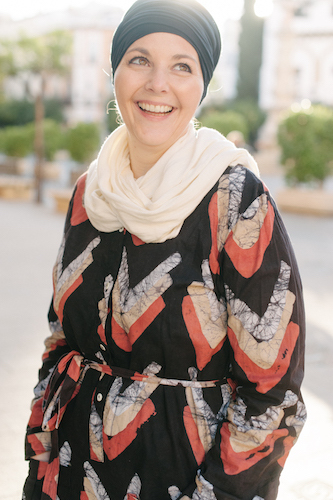 If so, read on to find my favorite mess-free, stress-free travel activities to keep your kids entertained and to keep you sane while traveling the globe. These travel activities are perfect stocking stuffers or gifts for the adventuring kids in your life. What kid doesn’t love tape? 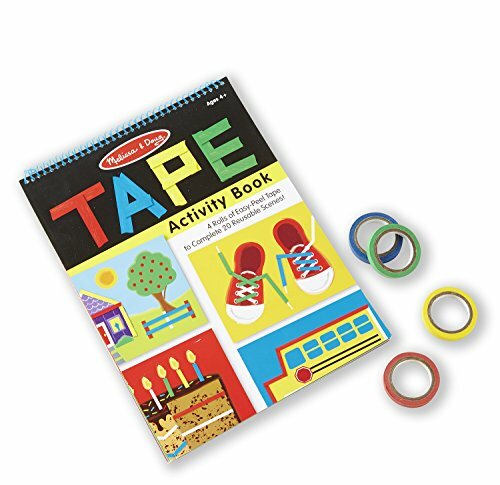 This activity book will keep your little ones occupied as they finish and embellish each drawing in the 20 page book with colorful tape strips. The pages leave empty white spaces so kids know where to place the tape. Not only does this help kids learn creativity, fine motor skills and coordination, but the pages are re-usable. Just peel the tape off and start again, trip after trip! Stickers have always been a big hit with the kids in our family, so what’s better than a reusable sticker book? 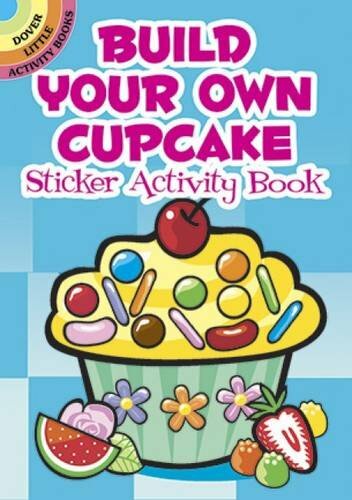 This is great for little ones just learning to use stickers all the way up to those who have mastered the skill. Create fun cupcakes over and over – no two will be the same! 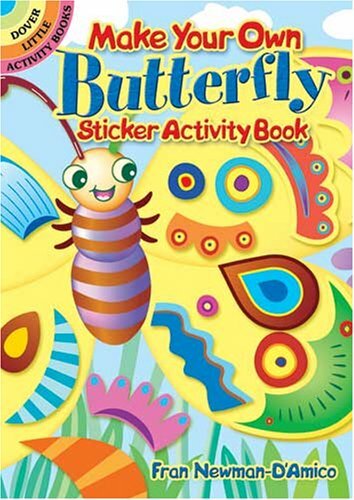 This is another great reusable sticker book option, especially if you have insect lovers. Little minds will get a chance to be creative as they use the stickers to decorate the butterfly’s wings. Thinking about packing the kids up for a continental U.S. road trip? Avoid the “Are we there yet? 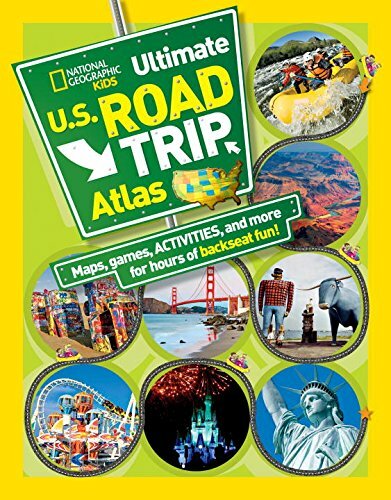 ?” questions with this National Geographic U.S. Road Trip Atlas – the perfect bring-along to fill the hours in the car. Packed with cool facts, games, and fun information and roadside attractions for each state, your kids will be entertained (and learning!) all along the way. 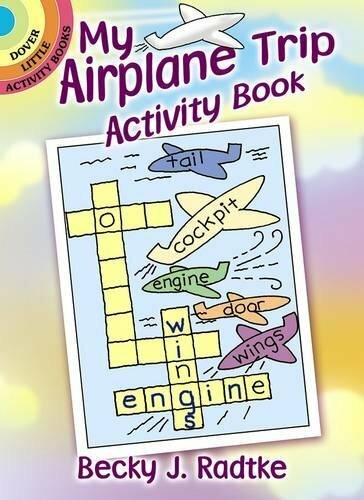 This all-around packed activity book for your child’s next plane ride is perfect for 4 to 8 -year-olds. 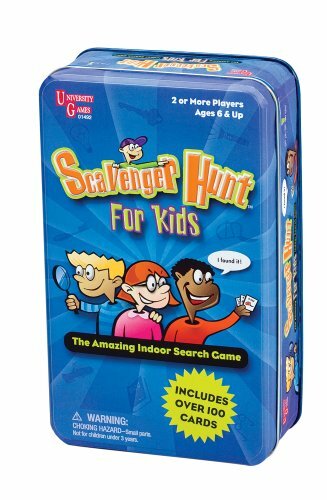 Filled with mazes, crosswords, coloring, puzzles and more, and all revolving around a travel theme to get them excited! 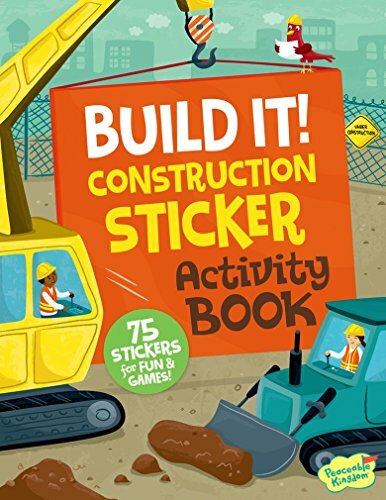 Whether you are taking a train, plane or automobile, this sticker book is great fun for ages 3 and up! Kids can create their own home using over 75 different stickers. Another cool feature of this product is it’s use of recycled papers and vegetable based inks – a great way to support earth friendly practices while also keeping your travel stress-free. Make road travel less mundane with this scavenger hunt card game designed for 2 or more players. Searching for the objects listed on the cards will have the time spend on the road whiz by in no time! 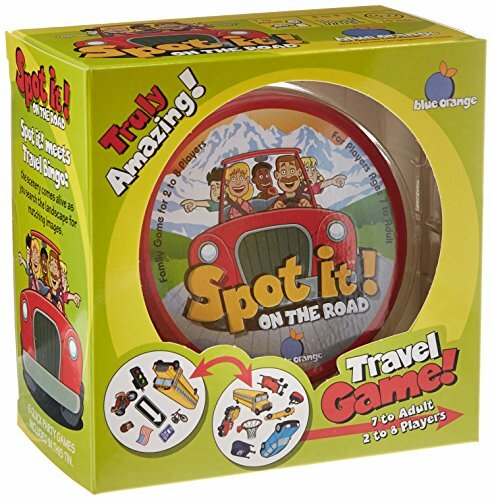 Keep your next adventure full of fast-paced fun with the game Spot It. Great for players of all ages (including adults! ), this game is a battle of who can spot the symbols first, and there are 5 variations of rules to keep it challenging. It’s small enough to fit in a purse, so pack it along for a day at the beach, an evening at the restaurant or that long train ride. 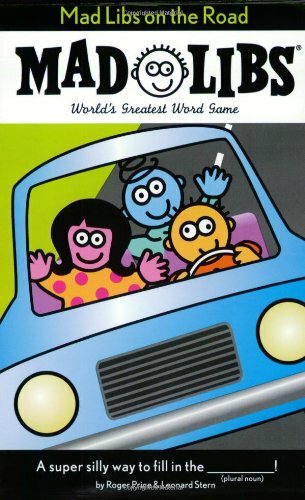 Mad Libs will keep your whole family laughing – even your teenagers! Grab a pen or pencil, fill in a few verbs and nouns, and get ready for a highly amusing story. My boys love these, and there’s nothing better than hearing them laugh and joining in on the fun! Driving games don’t get much better than this! Fun for the whole family can be found on these glossy cards. 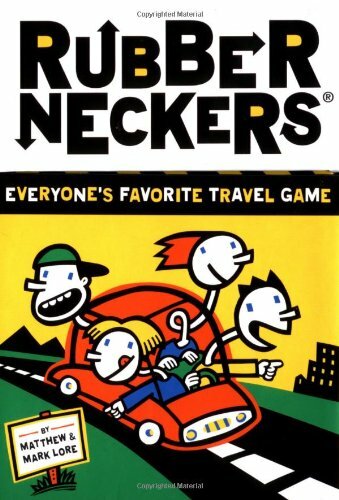 Enjoy your children’s laughter as they learn all of the road trip games you most likely played as a child – looking for all the state licence plates, getting truckers to honk their horns, etc. Scrubbing marker off of tables, faces and clothes isn’t my idea of fun, especially when on the go. 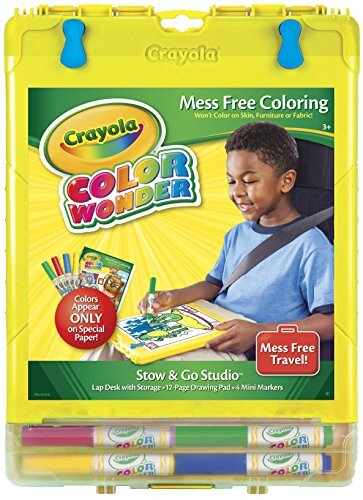 Color Wonder is a great option for little ones just learning the skill of coloring, and the markers make a wonderful, mess-free option for parents. Color Wonder markers only work on the provided coloring book – no mess anywhere else! Pack it all up in this travel case, and you’ve got hours of entertainment ahead. 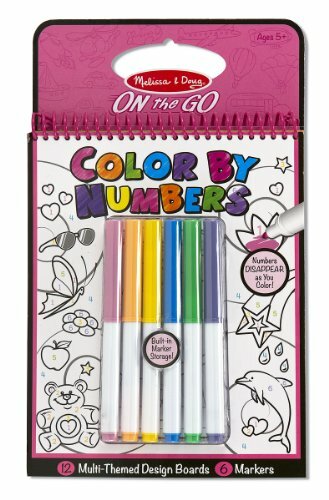 I love color by numbers, and this version offers thick, sturdy boards to color on, which is perfect for travel. At around $5, this is a great option for any budget! 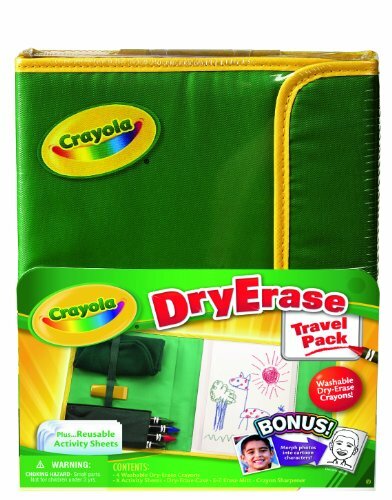 If you have little artists in the family, Crayola’s Dry Erase Travel Pack is a bargain you can’t pass up. Filled with 16 dry erase crayons, reusable activity sheets, and both a crayon sharpener and eraser, you’ve got everything you need to keep little hands creating. Snap everything up in the pouch when done for easy transport and storage. Melissa & Doug’s version of water colors doesn’t get much easier, cleaner or cheaper! 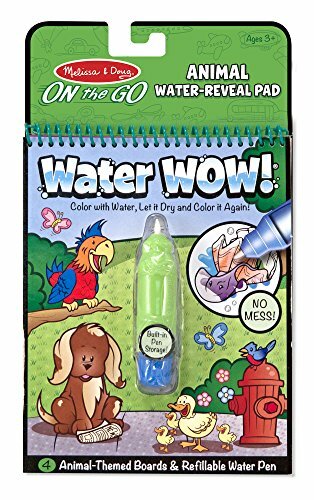 A great budget activity, this book features fun illustrations for your child to color using a very chunky pen filled with water. Little hands will find the pen easy to use on the go. We didn’t want you to think Melissa & Doug only had a fairy-tale option of their popular water color books on the go. If your little one is more interested in animals than princesses, here’s the version to buy! 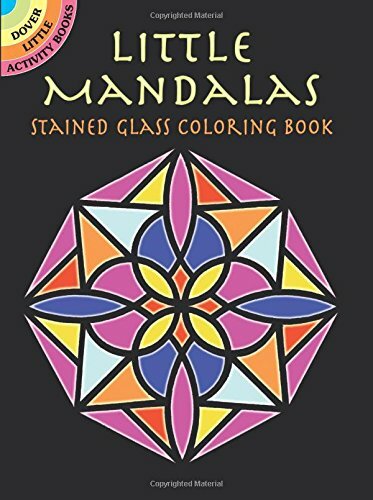 If geometric design inspires you, and if you have older kids who are up for a coloring challenge, this is one of my favorite coloring books. The pages can actually be placed near bright light after coloring to bring them to life, just like real stained glass windows. 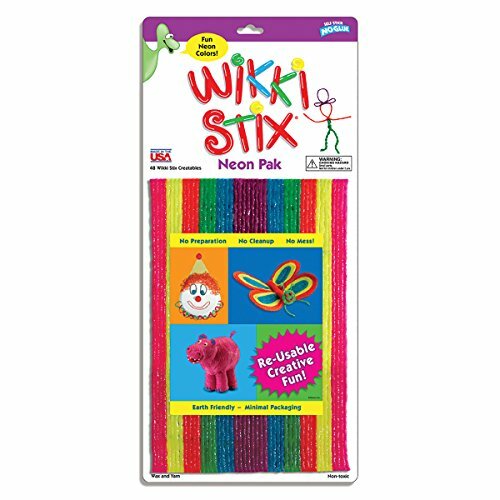 Wikki Stix are a winner in my budget book, not to mention a great way to introduce sensory and imaginative play. Easy to pack, easy to mold, and reusable time and again, these sticks will keep fingers busy with creation – shapes, letters, numbers, animals – let their minds explore. 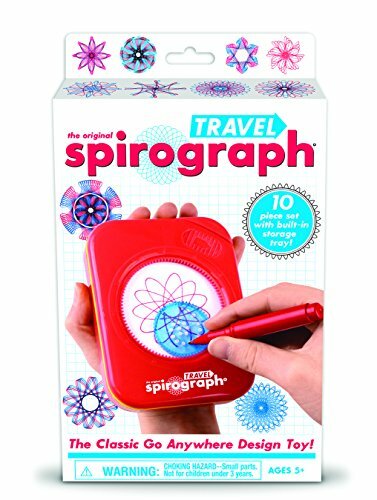 This Spirograph takes me back to my childhood! I remember hours spend doodling away on these handy toys, and now my kids (and yours!) can do the same. This travel version is designed to keep all tools inside the compact case for easy transport and play. 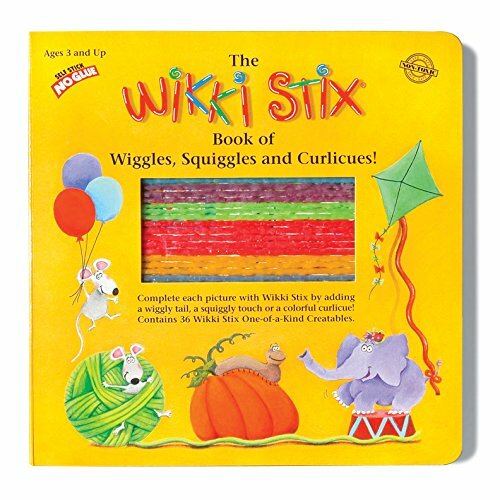 If you like the idea of Wikki Stix featured above, you might also find the Wikki Stix Book of Wiggles, Squiggles and Curlicues to be of interest. Each page of the book features something that missing, and your child will be there with Wikki Stix to design that missing piece and add it to the illustration. It’s a great way to introduce youngsters to this art option. Seriously love this no-stress, no-mess, easy to carry tote for creative and imaginary play on the road. 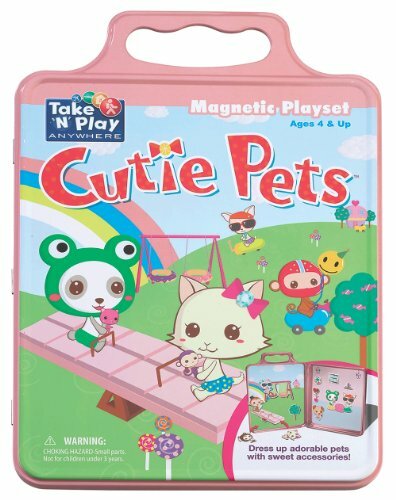 Your kids can dress up the pets as they play at the park using magnets. When they’re done, pack up the magnets for use over and over. Such a brilliant on-the-go activity! Now that you have your travel activities covered, it’s time to start planning your next big family adventure!